I'm sick. And not just in the head, this time. Yup. I have the sniffles like every other person across the country at this time of year. "Sniffles" makes it sound cute, but, trust me, I look and feel anything but adorable right now. And, so, I thought: What is one thing that always makes me feel less icky? The answer is clear: Pretty smelling things! 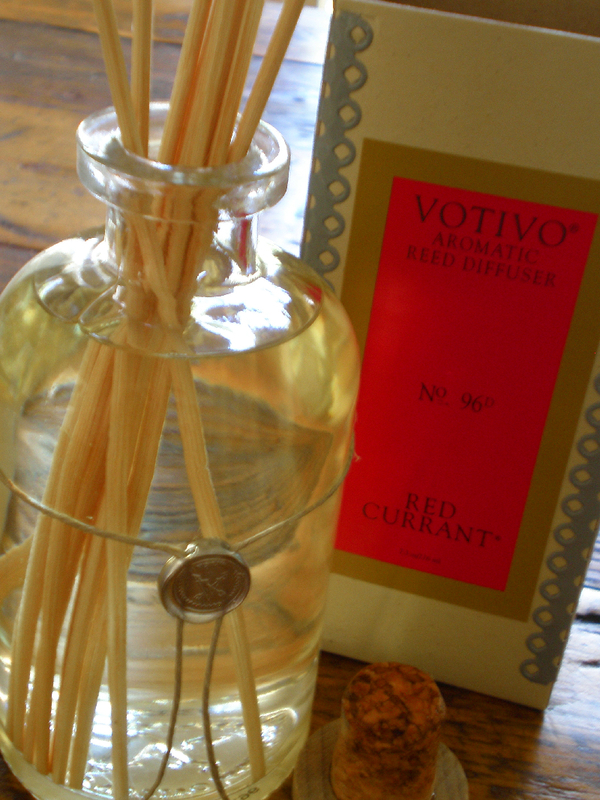 Well, I have a long list of favorite lovely fragrant products, but my most beloved right now is the Votivo Red Currant diffuser with wooden reeds. I've always loved it, but I didn't know the name, and when I described my favorite scent to my friend who works for Votivo, she knew instantly what it was (I suspect it might be everyone's favorite). It's tangy and citrusy and clean and all things good, but not overpowering and it doesn't smell like a creepy airplane bathroom deodorizer. Shudder. And, everytime I put it out, I know it always makes everything smell good. Which is most important right now because–with my stuffed nose–I can't smell a damn thing.